The MRC/ Shellfish Subcommittee and WEC installed Little Neck Clam tents for a pilot project here on Lummi Island. One tent is located just north of the ferry terminal on public tidelands, and one on public tidelands near the end of Blizard Road. This pilot project aims to take advantage of naturally-produced clam larvae from any species that float in the water column prior to settlement into suitable habitat. If this pilot project proves successful, future clam tents will be considered for other locations. The tents were installed in April and will be removed in late summer. Beach Elementary School students assisted in pre-installation surveys to document what clams exist in the locations presently, and will also assist in future surveys to determine if clam recruitment was a success. Please notify us if you notice that one of the tents is damaged or needs attention. We will be checking the tents weekly. Please contact Melissa Roberts at 360-676-6876, or mroberts@co.whatcom.wa.us for more information or call Wanda to notify her of any attention needed to the tents. 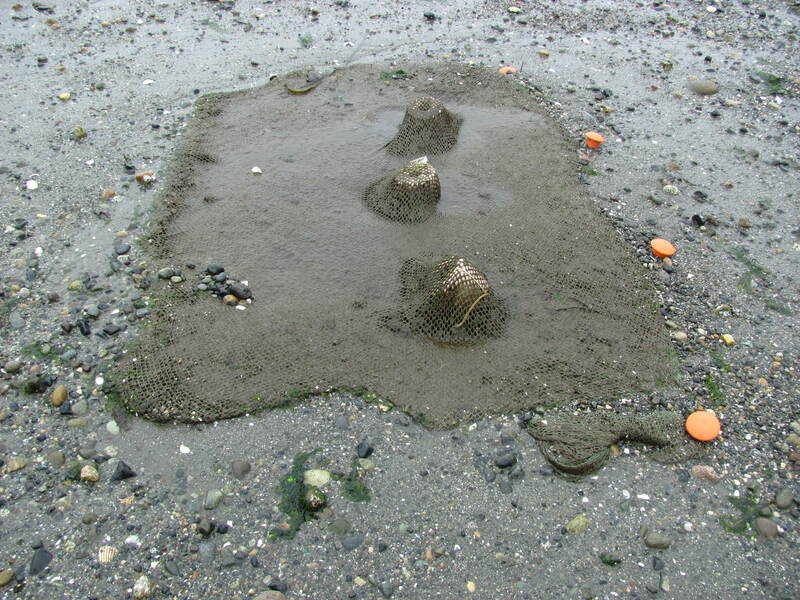 This entry was posted in Clam Survey, Lummi Island, Lummi Island Shoreline Restoration, Uncategorized, volunteer and tagged Clam Survey, Lummi Island, volunteer. Bookmark the permalink.